The Profish GT is perfect for both sheltered coastal & inland fishing. 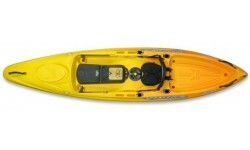 At 3.6m long & 82cm wide it is a perfect mix of stability & space with paddling performance. Even larger paddlers will feel secure whilst still being manageable in moderate conditions. 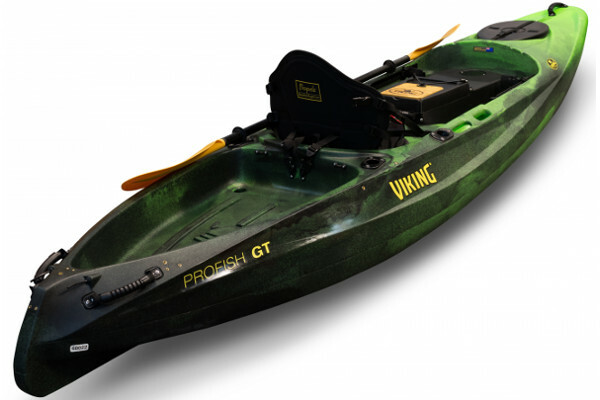 The Profish GT is the shortest of the Viking Profish range at 12ft meaning it will easily fit on the smallest car or in the back of many vans. 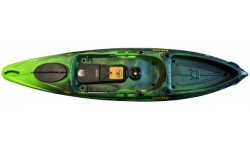 Yet with a beam of 82cms it has enhanced stability allowing stand up casting and a real feel of security when paddling. 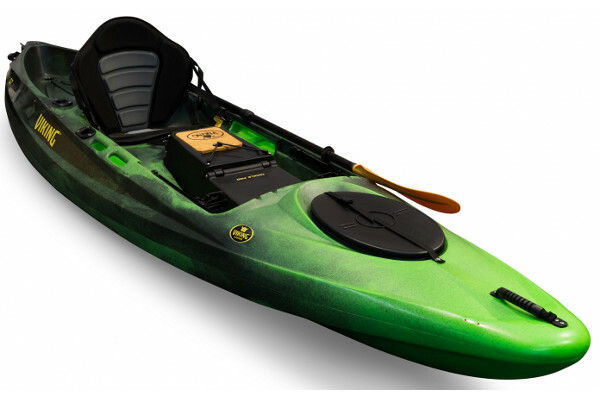 An excellent choice for the larger paddler or those that fish the slightly calmer waters of inland lakes and estuaries the GT will still handle a moderate swell and is easy to surf back in due to its nose rocker. 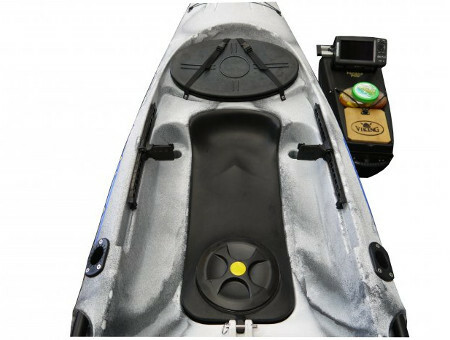 The first thing to catch your eye is the integrated Tackle Pod which allows the fish finder, battery and transducer to be removed in one easy action and stored away from the kayak. This is great if your boat lives outside, makes lifting the boat onto the car even easier and allows tackle selection and fish finder set up to be done in the warm before setting out! 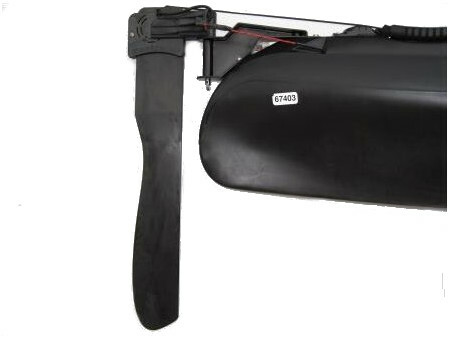 The GT comes with 4 flush mounted rod holders, a large front hatch which will easily take a trolley and assorted gear and a 6” storage hatch in front of the seat with removable bait bucket. 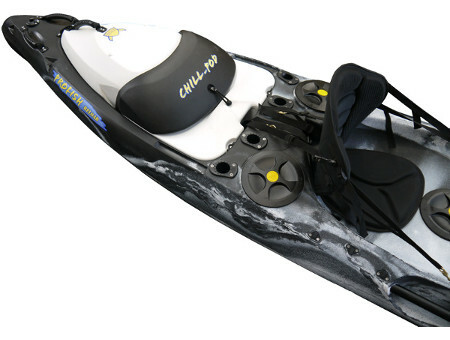 There are adjustable footrests and soft touch carry handles for paddler comfort and of course the large tank well is compatible with the optional Chill Pod for protection of your catch or gear. 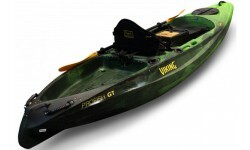 All in all the Profish GT is a well thought out compact fishing craft which is easy to handle yet doesn’t skimp on the features demanded by today’s kayak angler. 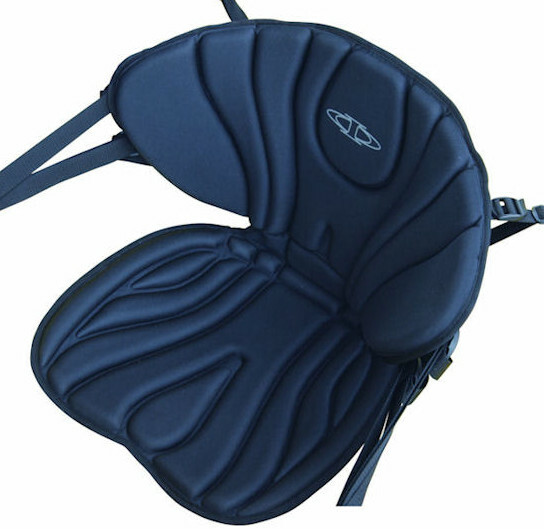 For any mini budding anglers out there the tackle pod can be replaced with the kid pod to provide a small extra seating area or just some extra flat deck space. For enhanced performance in cross winds, swell and when fishing on the drift, the Profish Reload can be fitted with an optional foot operated rudder kit. 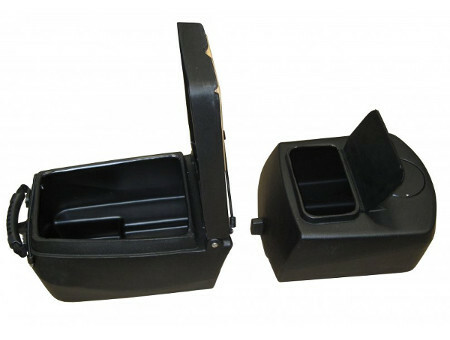 A large pod split into 2 halves with live bait storage at one end, tackle storage at the other with twin lid access. The smaller section is fitted with water feed as standard. Designed to clip snugly in the rear tankwell of the Profish, the Chill Pod will protect your catch from direct sunlight. 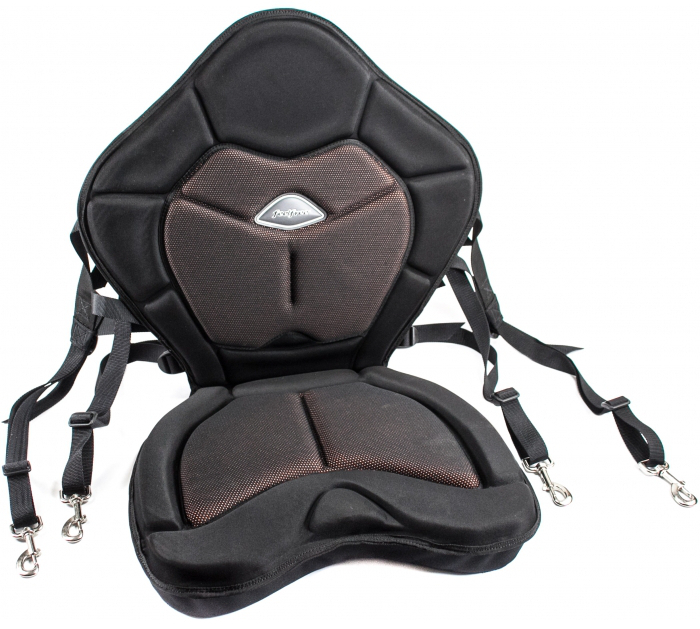 Can also be used to store tackle or safety gear. 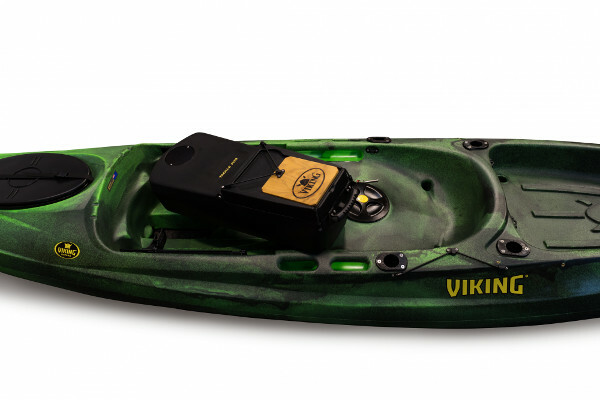 We offer a delivery service for the Viking Kayaks Profish GT to home and work addresses throughout England, Wales, Scotland, Northern Ireland & Ireland. 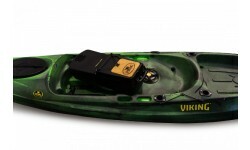 Buy a Viking Kayaks Profish GT online from our website and collect from our store in Newhaven, East Sussex or from any branch within the Canoe Shops Group. There is no cost associated with this*.